I am entering the Wine Spies Contest to review this wine. The deal was that if you wanted to enter the contest you reviewed the wine and submitted your review by November 3rd. Let me be very clear here: No conditions were attached to receiving this wine. It was a party favor. You did not have to review it or do anything with it, unless you wanted to enter the contest. I got this bottle, in a 350 mL size, as a party favor from Levendi when I went to the Wine Spies party in California last week. 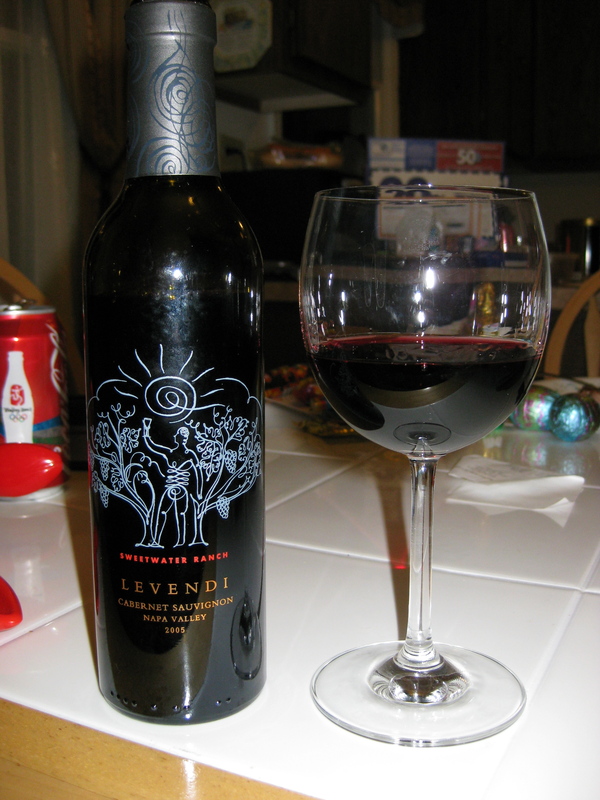 The wine is the 2005 Levendi Sweetwater Ranch Cabernet Sauvignon. It clocked in at 14.5% alcohol by volume, had a real cork closure, and hails from Napa. Following is my poor attempt at wine poetry as I try to win some wine!